Wind.. Wind.. and more Wind..
Oh Gosh its cold outside. 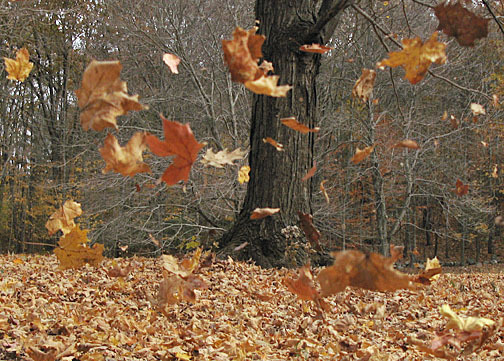 The wind is blowing all around and leaves are floating through the air. I can already see further back in the woods than I have been able to in a while. Winter is fast approaching.. and I am dreading it! I really need to go to the store but I am not going out in that mess yet. I think I would rather eat cold cereal for dinner before I go out in this weather! Its not raining and there is no snow right now but its freaking cold. Thank goodness for the fireplace! I am just not one to go out a lot in the winter.. Nope. I stay indoors and watch out the windows! Again.. we need to get packing and move south! All it takes is day of winter and I am so ready to move. I start bitching when winter shows up and I don't stop till late spring! Who would have guessed that would be Brittany's choice. My daughter is all girl.. pink.. dresses.. purses.. and this is her pick!? 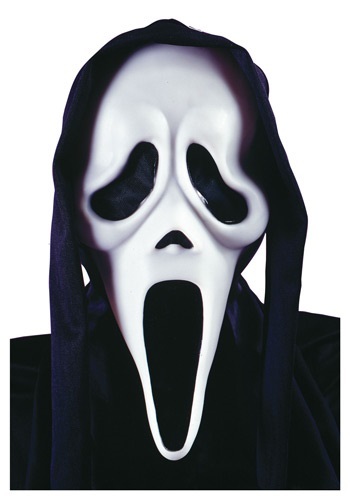 And she is super excited that she got the better Scream mask because her's bleeds!! She was so happy about it. I guess I should go to the store to get stuff for Halloween dinner...and I have no idea what its going to be! We are carving pumpkins tonight. We are a little late but that who cares. I don't know if they will stay lit up at night with all this wind! I wish we would have done it on Sunday but tonight is the night! I'll be sure to get lots of pictures! I am shocked about New York. This storm is pounding them. Right now Washington is dealing with it and they said they could seriously be flooded with 5 feet or water. I am thankful we are not having to deal with that. I hope you guys are all staying safe and keeping dry! Hope you are having a beautiful Tuesday.